The MuniMobile app has been updated with some key design improvements, thanks to feedback from users like you. In the new version, you may notice our mobile ticketing app provides faster access to active and stored tickets upon startup as well as clearer screen prompts on when to activate tickets and ticket expiration time. The display has also been enhanced to be more accessible for users with visual impairments. So if you haven’t already, be sure to update your MuniMobile app to enjoy all of the new features. MuniMobile version 1.7.1 is available for iPhone on the App Store and for Android devices on Google Play. If you run into any issues with the app, email us at munimobile@sfmta.com or call 311 for assistance. 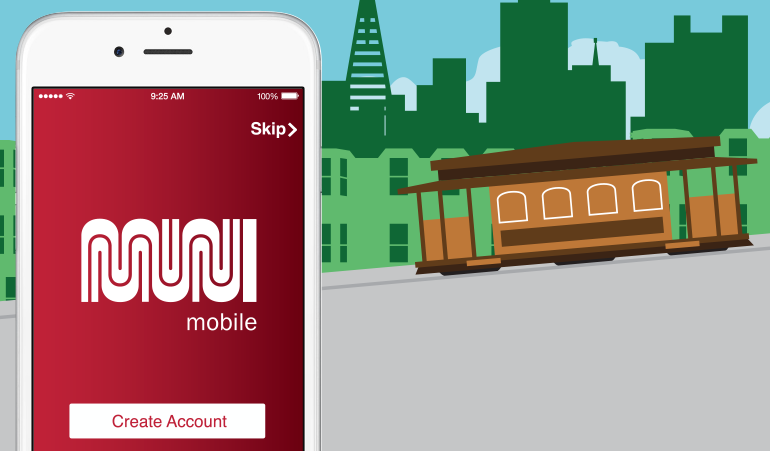 We want to ensure your mobile ticketing is as sleek as our new Muni buses. Later this summer, MuniMobile will also get a new feature: Rate My Ride. Rate My Ride will allow you to provide specific feedback about any Muni trip in seconds. With a simple click to the left or right, you can rate your trip time, vehicle conditions and even the etiquette of fellow riders. Rate My Ride is just one more way we’re making it easier for you to tell us how we can improve your SF transportation experience. Rate My Ride is simple, it’s interactive — plus, you can’t beat MuniMobile’s cute interface.